Sardis was one of the most important ancient cities of western Turkey: the birthplace of coinage, capital of the Lydian king Croesus, and site of one of the Seven Churches of Asia. In this biennial lecture, director Nicholas Cahill, professor of art history at the University of Wisconsin-Madison and director of the Sardis Expedition, will present new discoveries, research, and conservation projects of 2017–18. 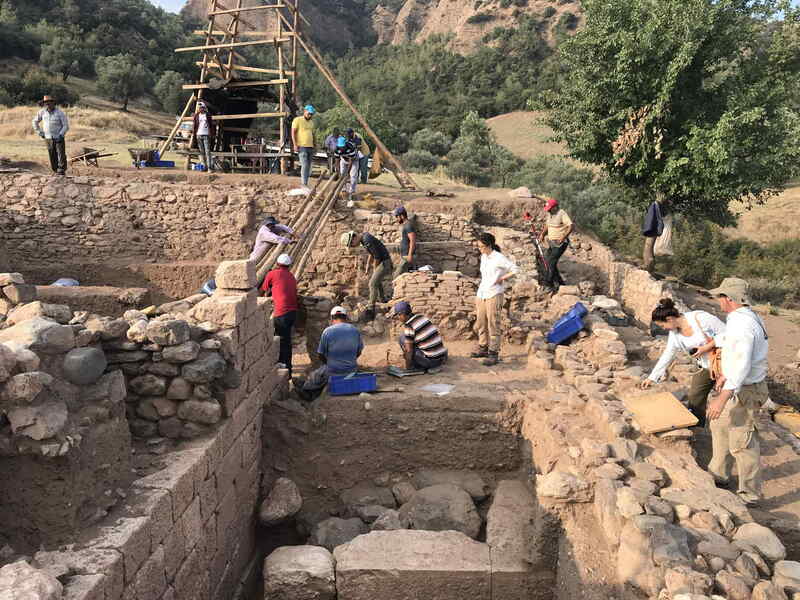 Cahill will share new evidence for occupation in the Early Bronze Age, almost a millennium earlier than previously believed; the remains of the Palace of Croesus and the capture of Sardis by Cyrus the Great; the largest arch in the Roman world; and information about patronage in the sixth century CE. Work by the Archaeological Exploration of Sardis is authorized by the Turkish Ministry of Culture and Tourism and has been sponsored by Harvard University and Cornell University since 1958. This biennial lecture series presents the latest research from the site to the Harvard and greater Boston communities. Please join us in Menschel Hall beginning at 5:30pm to view drone footage of the Sardis site. The lecture will take place in Menschel Hall, Lower Level. Please enter the museums via the entrance on Broadway. Doors will open at 5:30pm. Free admission, but seating is limited. Tickets will be distributed beginning at 5:30pm at the Broadway entrance. One ticket per person. The excavation at Sardis is conducted with the permission and support of the Ministry of Culture and Tourism of the Republic of Turkey. Current conservation work at Sardis is also supported by an award provided by the U.S. Government, Department of State, U.S. Embassy Ankara. For more information, please contact Robin Woodman at 617-495-3940 or am_sardis@harvard.edu.